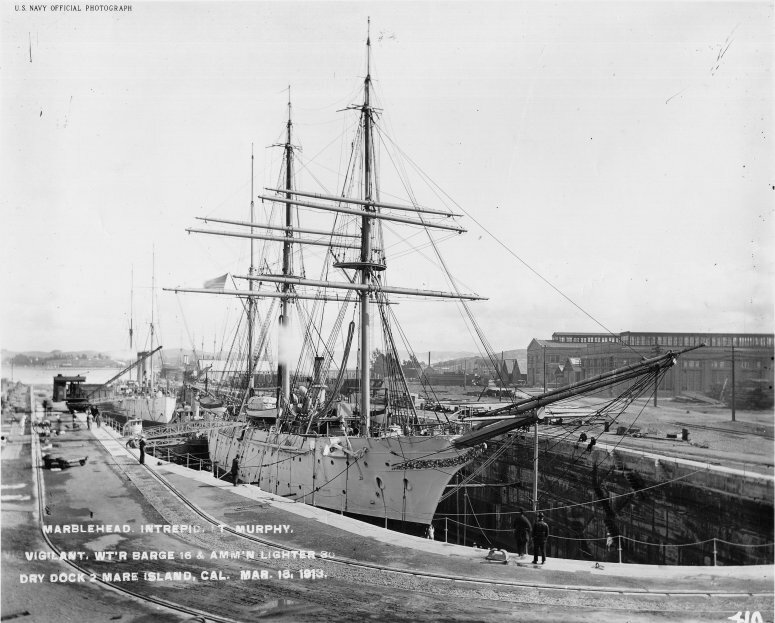 48k USS Vigilant off the Mare Island Navy Yard, 26 July 1898. 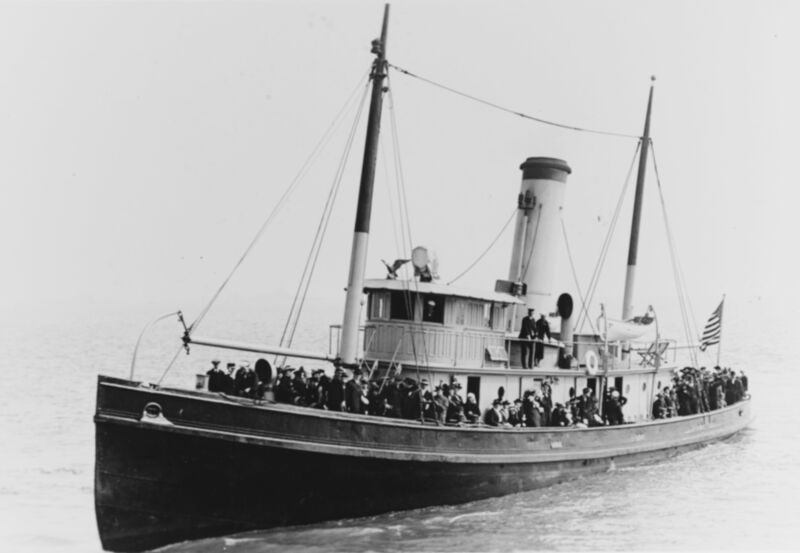 Note variety of guns she carried for Spanish-American War service. 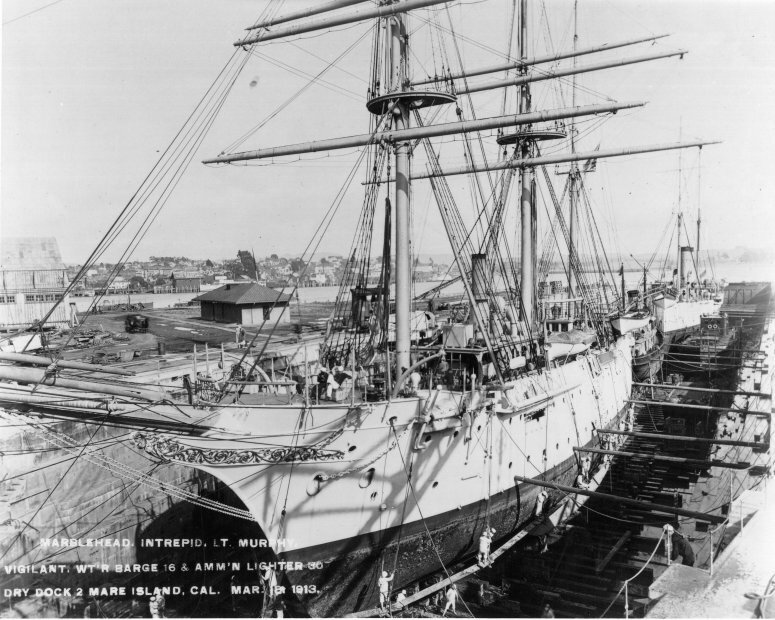 848k USS Vigilant off Mare Island circa 1918. 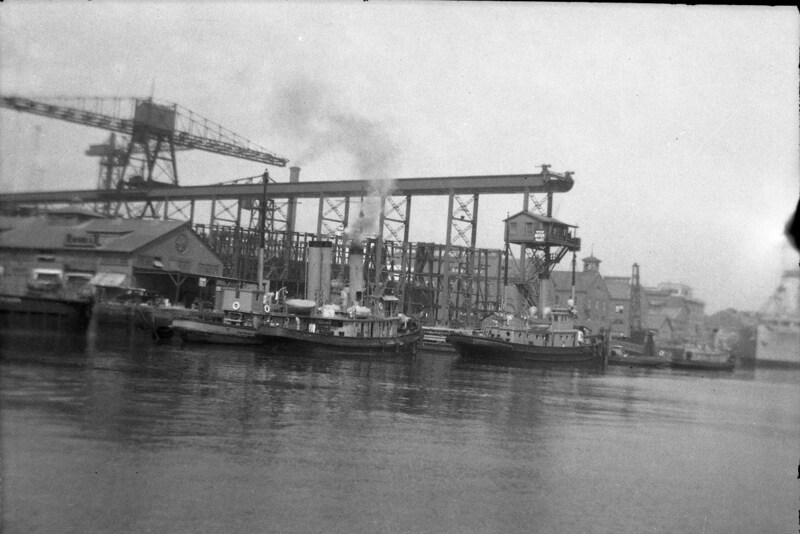 180k Tug operations and dispatch area at Mare Island Navy Yard with the main yard building ways in the background. Tugs Navigator (YT-39) [twin stacks] is inboard of Lively (YT-14) and to the right of these two tugs is the USS Vigilant (YT-25). Yard ferries Leslie (YFB-7) and Dart (YFB-308) are to the right. The Tug Masters’ office is the house on the legs of the building ways overhead crane. The scaffolding on the building ways behind and below this office is the scaffolding for construction of the Montana (BB-51). The book A Long Line of Ships states that construction of the Montana was cancelled February 8, 1922 and it took another year to complete the scrapping of the ship. Based on this information this photo was probably taken from early 1922 to the middle of 1923. 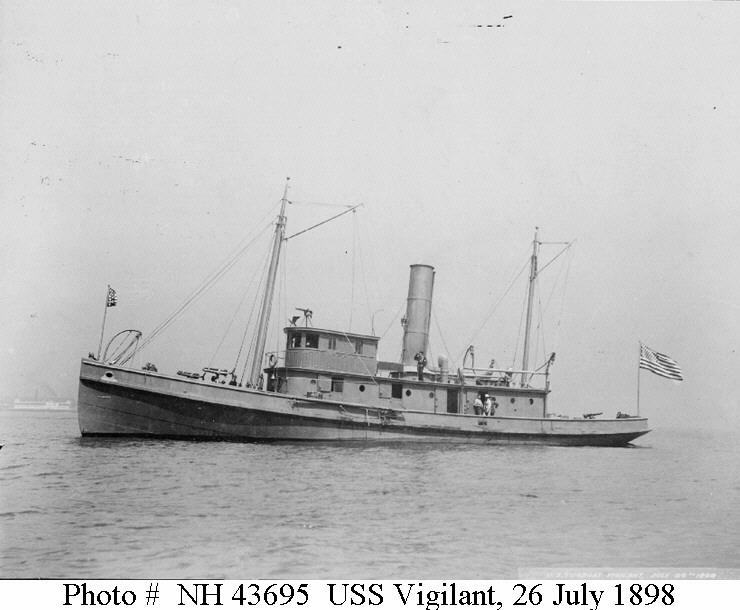 2557k USS Vigilant and probably Water Barge No. 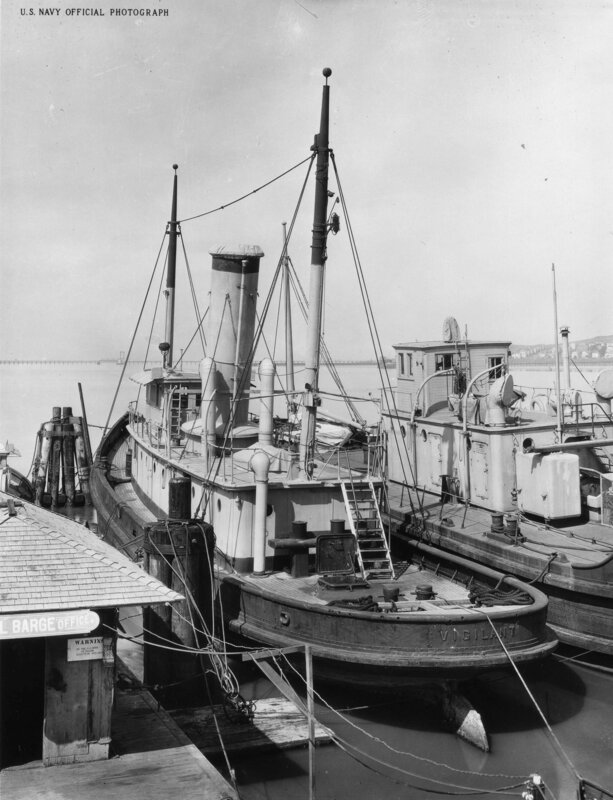 16 moored at Mare Island barge dock, circa 1925. 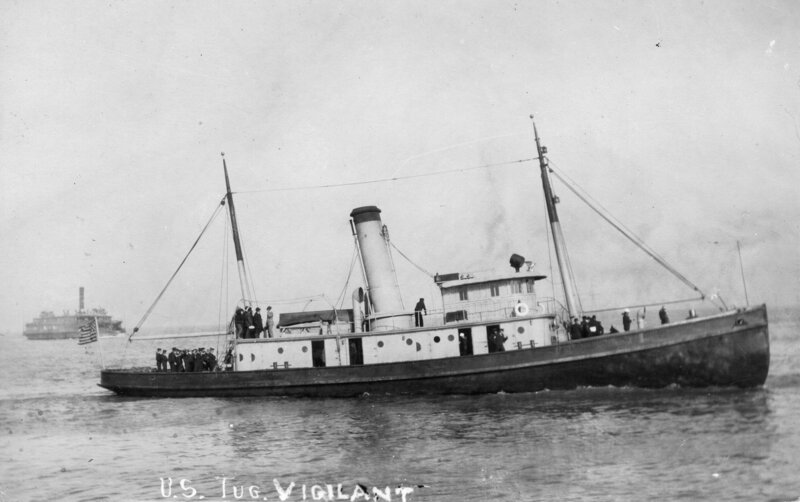 547k USS Vigilant underway in San Francisco Bay, circa 1912. "Three Tugs Sold to the United States Yesterday"